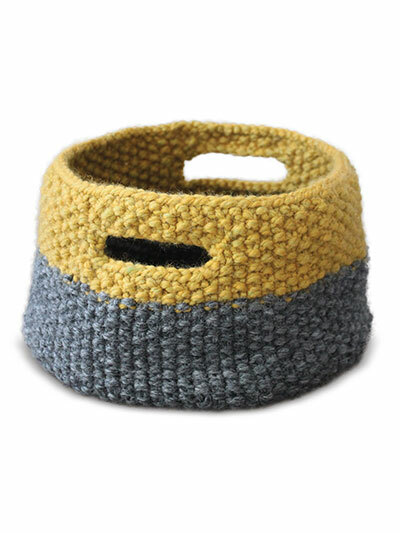 Three different size baskets to knit that are great for storing everything from yarn to toys and anything else you can think of. 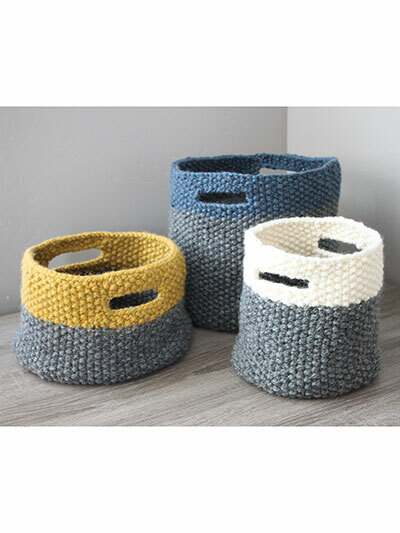 What's nice about these baskets is that they have handles on them so you can move them around to any room you want. 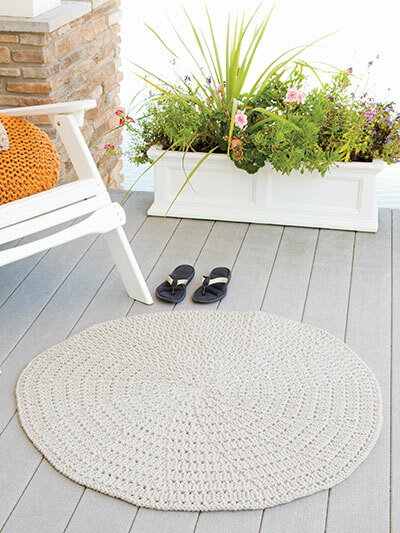 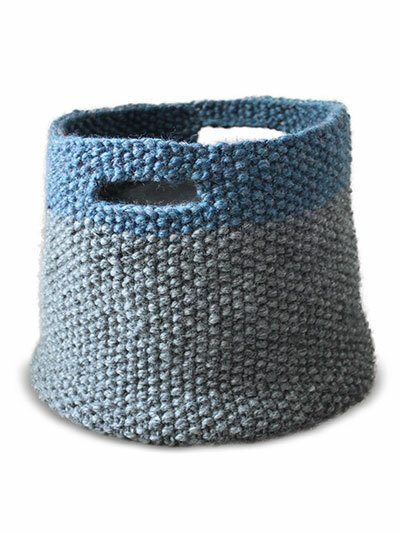 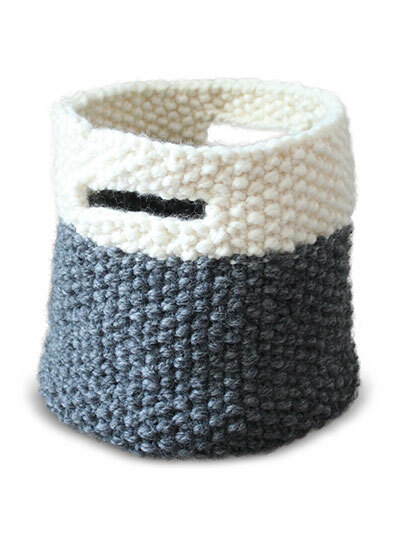 The pattern calls for you to knit with 2 skeins of Plymouth Encore Yarn which is a bulky yarn that is sturdy enough to make the baskets stand on their on. 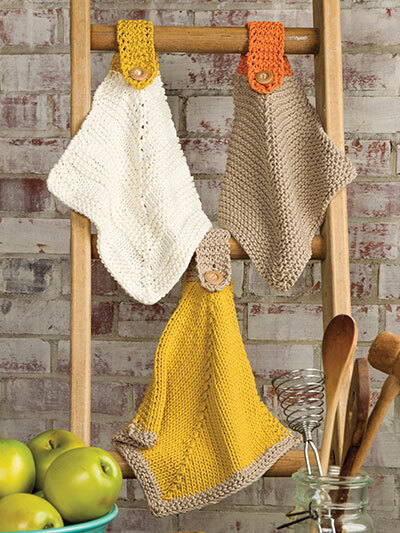 Be sure if you use a different yarn that is is bulky and works for knitting the baskets. 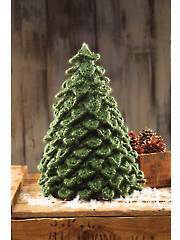 You will also need size 10 knitting needles and 24" circular needles /set of 5 double-point needles.